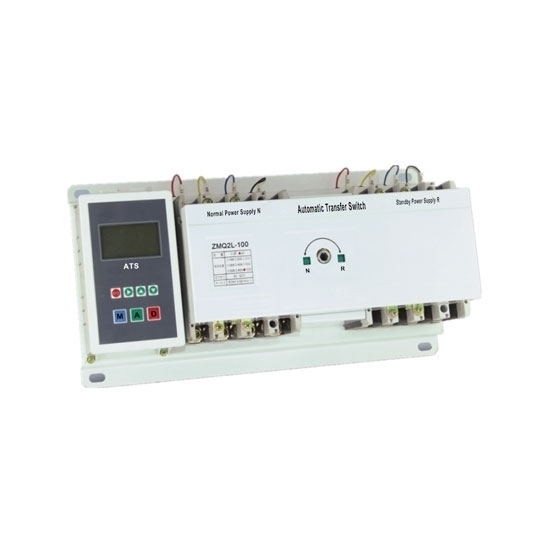 Compact size Automatic Transfer Switch with 3P/4P, has operating current ratings from 100 amp to 225 amp for your choice, equiped with intelligent controller which has keyboard input and LCD display to give you a good interactive interface, make it easy and reliable operate. Selectable rated working current 100A, 125A, 140A, 160A, 180A, 200A, 225A. Small size, light weight, stable running, and easy to use. The automatic switch has a wide range of applications, such as elevators, banks and hospitals, where the power failure is absolutely unwanted. Once the power is cut off, it will cause huge economic losses and even endanger human safety. The automatic switch is mainly composed of a controller, a conversion mechanism and a body. 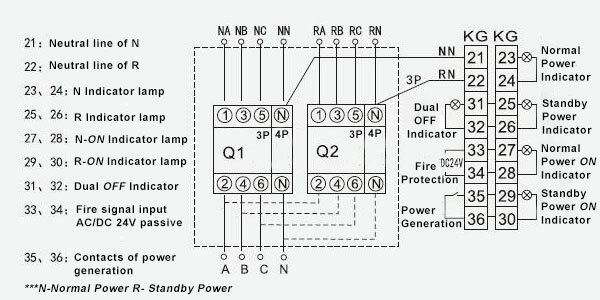 The controller is very important, which is the same as the brain of the automatic changeover switch. It can control the switching between the two power sources. The conversion mechanism is composed of a drive mechanism and a transmission mechanism. 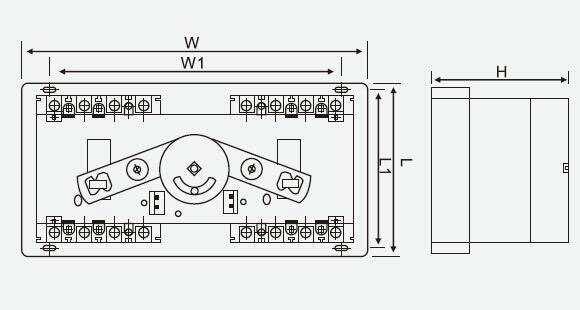 Its role is to achieve non-stop disconnection and connection, and also determine the mechanical reliability of the automatic transfer switch. As for the body of ATS transfer switch, it is composed of contacts, contact mechanism and arc extinguisher, which directly determines the switch electrical characteristics. The auto transfer switch was fast delivered and well-packed. When I received this unit, I first tested it with my generator. This unit did work. The installation was OK, not complex. Good products. 630 amp, 700 amp or 800 amp automatic transfer switch (ATS) is a good solution to transfer the power from utility to standby source, simple design and easy installation, high performance and long service life, suitable for residential areas, military facilities, hospitals and other areas.